Robert Blunk was born in 1923 in Salyards, Kansas. After serving in the Pacific with the Marine Corps in World War II, he returned home to Kansas and earned a Bachelor of Fine Arts at Kansas City Institute of the Arts in 1950. He later earned a Masters of Fine Arts (sculpture) at Pittsburg State University, Pittsburg, Kansas, and worked toward his doctorate at the University of New Mexico, Albuquerque, New Mexico. For over 40 years, he had a notable teaching career combined with an active career of creating public sculpture, designs and installations. 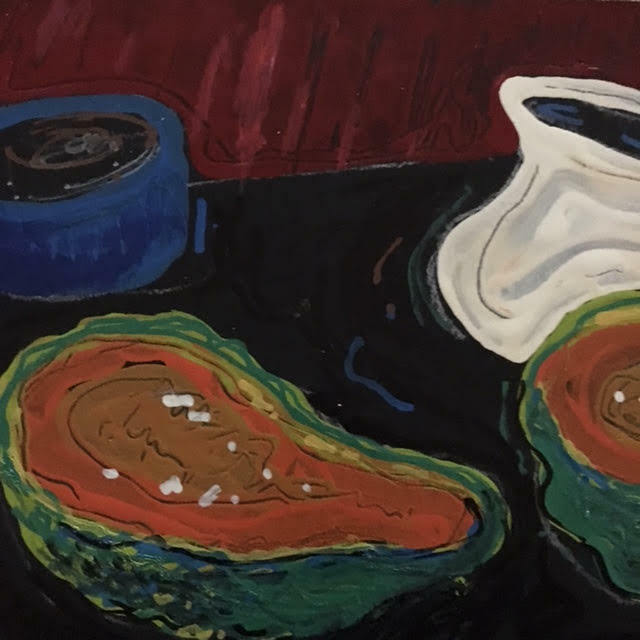 His current work of miniature, painted still lifes and interiors reflect his vibrant sense of color, energetic drawing style and unerring graphic sensibility. These small paintings represent some of the strongest oeuvre in a remarkable career. Blunk admires the works of artists ranging from Alexander Calder to David Smith and George Nakashima, and from Paul Klee, Van Gogh and Marsden Hartley to outsider artists. Robert Blunk's talents, tastes and interests are broad, but his vision is singularly his own.